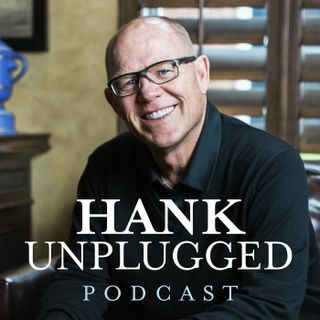 This week, Hank is joined on Hank Unplugged by New York Times best-selling author Jay Richards. Jay is a true Renaissance man academically, and their conversation exemplifies that as they touch on a wide range of topics such as global warming, gender identity, consensus science, economics, the Eucharist, and much more. Topics discussed include: the right questions to ask about global warming (2:30); does Al Gore really believe his own rhetoric? (9:30); illiberal liberalism on college campuses ... See More and the culture at large (12:00); the gender identity movement’s war on natural law’s of science (17:30); the consequences of going against the cultural narrative as shown by astrophysicist and Intelligent Design advocate Guillermo Gonzalez (23:30); our Earth as “The Privileged Planet” (27:00); taking materialist claims to their logical conclusion (31:00); how to think about celebrity scientists like Bill Nye and Neil Degrasse Tyson (38:00); consensus science or group think? (40:00); Millennial views on capitalism and socialism (44:00); Jay’s book on “The Vision of Freedom That Tolkien Got and the West Forgot” called The Hobbit Party (52:30); the real presence of Christ in the Eucharist; and the importance of having an eternal perspective (57:00).